When a new brand makes its debut it creates lot of excitement. If the debut creates a landmark, a promise it gets lots of attention. 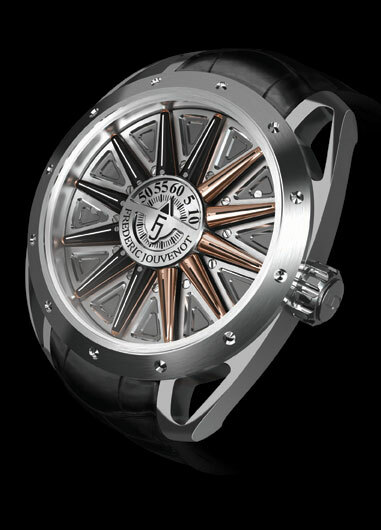 So was the case of Frederic Jouvenot’s Helios, launched at Geneva’s second edition of Geneva Time Exhibition 2011. A tantalizing combination of old and new technologies, the Helios timepiece will take your breath away with its deceptively simple display, masking its inner complexities. This exceptional new piece offers a three-dimensional interpretation of time that is a modern re-imagining of the ancient sundial. However, you’ve never seen a sundial like this before! Combining the inseparable phases of day and night this simplistic looking piece houses a complex mechanism which allows the wearer to observe the passing of time in a completely new way. Unlike other, more traditional timepieces, the Helios does not use hands or discs to display the time, but instead three-dimensional cylinders which rotate in accordance with the changing of the hours. Although it sounds complicated it is actually exceptionally easy to read and really is quite visually stunning. Combining unique and innovative design with technical brilliance, this timepiece presents a spectacular new take on the technology of the centuries-old sun dial and is well worthy of young fair-haired Greek god it is paying tribute to: Helios. At each hour, depending on the hour, the jumping hour movement turns a sort of fixed needle with a black side and sunny side to indicate whether one is in the first half of the day or the half that leads to the night. The minute display is found on a revolving disk in the centre of the watch face. Swatch’s New Gent collection is bigger, bolder and positively provocative. Its designed for the active man or woman with an eye for the big new trends in accessories and art for the wrist. The New Gent Collection models are 41mm wide, and the height of the case and crystal combined is 11mm. Each model has a large, colourful plastic case with a generous, colour-coded dial, a day/date window at 3 o’clock and rugged, matt silicone straps in complementary monochrome colours. RED REBEL : A bold, dynamic timepiece plays with the primary colour of passion. The solid red silicone strap and loop of this positively provocative New Gent complement a matching transparent red plastic case and buckle. The sun brushed red dial presents slim white indexes at all hours and a black-on-white day/date window at 3 o’clock. In the absence of all numerals, shiny metal hour and minute hands with white superlite highlights and a slim white seconds hand mark the time. Price Rs 2950. 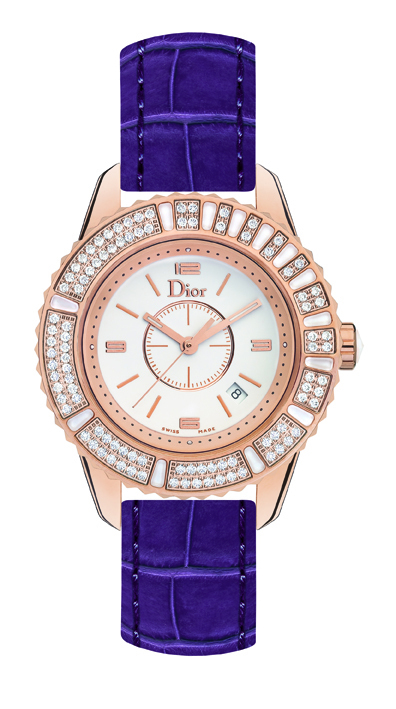 BURGUNDY REBEL: This stylish piece takes a trend-setting colour from the fashion labs and runways to the wrist. The matt silicone strap and loop of this gorgeous New Gent wrap the wrist in solid burgundy. The transparent burgundy plastic buckle and case match and complement the strap. The sun brushed burgundy dial features slim pink indexes at all hours and a black-on-pink day/date window at 3 o’clock. In the absence of all numerals, shiny metal hour and minute hands with white superlite highlights and a slim, bright pink seconds hand mark the time of day. Price Rs 2950. Available at Swatch Stores: Delhi: Select City Walk, F-16, 1st Floor, A-3, District Centre, Saket, Ph: 011-40588744; Chandigarh: SCO 21, Sector 17E, Ph: 0172-5012033; Chennai: The Helvetica, F-49, Spencer Plaza, 91B, Phase II, Anna Salai, Ph: 044-28490013/15; Mumbai: Atria-The Millenium Mall, First Floor, Shop No. 122, Dr. Annie Besant Road, Worli, Ph: 022- 24813523, Inorbit Mall, Malad (W), Ph: 022-66406992,G-3, Palladium, High Street Phoenix, Lower Parel Ph: 022-24940952; Kolkata: 164/1, Mani Square Mall, Maniktala Main Road, Eastern Metropolitan Bypass, Ph: 40002988, Bangalore: Garuda Mall, No. 11, Magrath Road, Ph: 080-66141018; Forum Mall, Ground Floor, Adugodi Main road, Koramangala.Ph: 080-22067921; Pune: SGS Magnum Mall, Moledina Road, Ph: 020-32306433. Victorinox’s Airboss Mach 8 Special Edition is equipped with top level sophisticated mechanical self-winding movement, insuring precision and robustness, while offering an exhibition caseback to view the mechanisms. It also features enhanced functionality pioneered by Victorinox swiss army by having its movement rotated 180 degree clockwise, bringing the start/stop chronograph pusher to 8 o’ clock to optimal thumb operation. the crown and date window are at 9,while a second crown at 2 activates a key AirBoss function: the internal bidirectional flange surrounding the dial features the countdown of aircraft takeoff/landing. This storied collection is inspired by an aircraft carrier’s ”Air Boss”, the individual perched atop the command tower who determines, with pinpoint accuracy, every take-off and landing maneuver on the ship. Price: Rs 1,06,000 . Available at all “Basecamp Traveller Outlets” in Mumbai (Lower Parel and Thane) Delhi and NCR, Chennai, Hyderabad, Amritsar. In conjunction with the World Rally Championship, Edox has created an entire collection dedicated to the world’s best rally drivers and their co-drivers. The new Edox Chronorally is a sports timing instrument which can simultaneously measure elapsed time, accumulate stage times, recount/replay, whilst maintaining accurate standard time keeping functions. 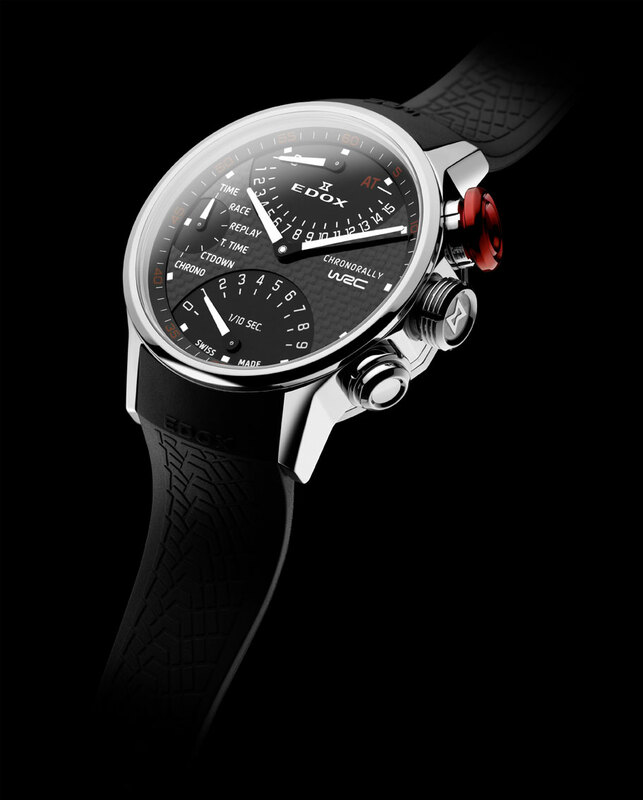 Essential as any onboard controls, the Chronorally sets the standard for those with a passion for motor sports. This WRC timepiece has umpteen functions, in addition to the standard display; the watch offers stage timing with an accumulated stage time, recount /replay mode, countdown mode and chronograph. All the functions are accessible by means of push pieces and the crown which with its outside design permits easy access for the gloved hands of a rally driver. The WRC Chronograph also boasts other rally-themed details like a raised caseback which represents a WRC wheel rim and a rubber wristband featuring a car tyre tread pattern. The ability to switch between different race timing modes, mechanically, is definitely rare. This particular version is made for rally racing, but it would definitely be cool to see this type of selector function on chronographs for other sports as well. Price: Rs.1, 22,600. Show her where your heart is this Valentine’s Day with the Tissot Lady Heart Automatic. The exquisite creation has a romantically shaped aperture at 12 o’clock, through which can be seen the luxury timepiece’s own beating heart — a precision Swiss automatic movement of the highest calibre. 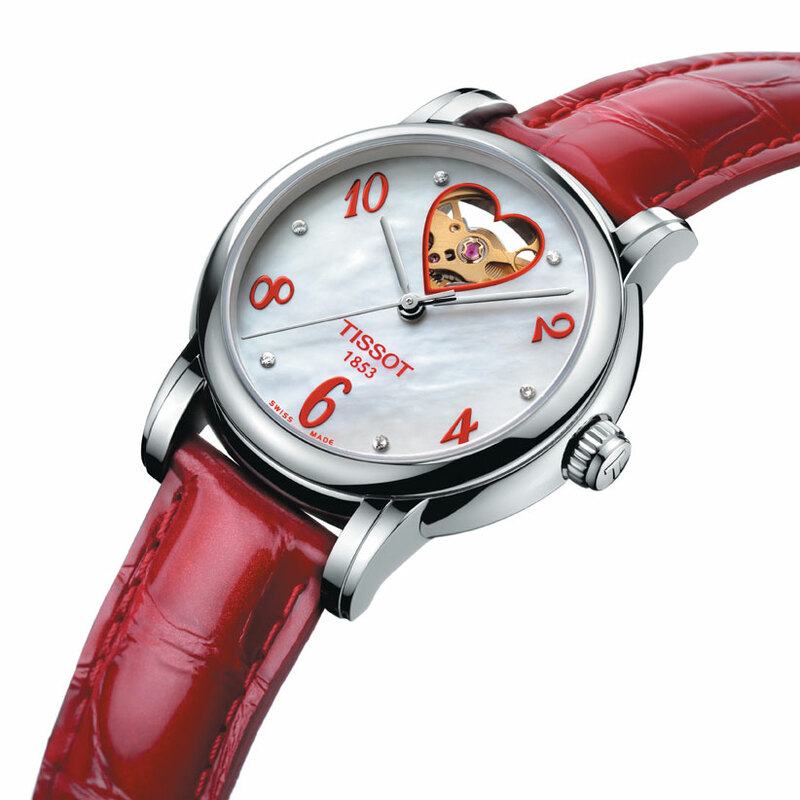 The perfect Valentine, the Tissot Lady Heart is a creation in bejewelled mother of pearl. Six Top Wesselton diamonds sparkle on the odd-numbered hours of the stunning nacre dial. The oversized even-numbered hours and the strap — fine-stitched leather with crocodile print with classic folding buckle — are in ardent red, this runway season’s trendiest colour. The giant heart at noon is an enduring reminder of your deepest felt sentiments. She will think of it not just every day, but every hour, minute and second! Price: Rs 31,500. 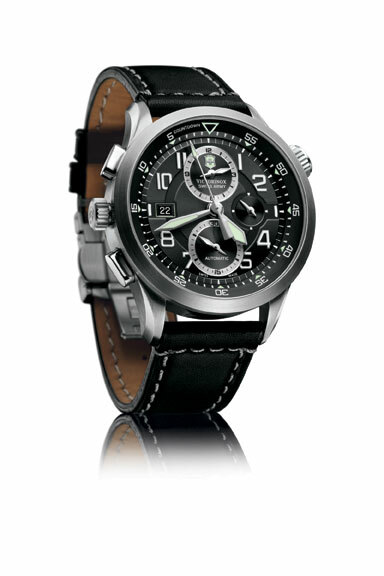 Available at Tissot Boutique, Worli, Mumbai. 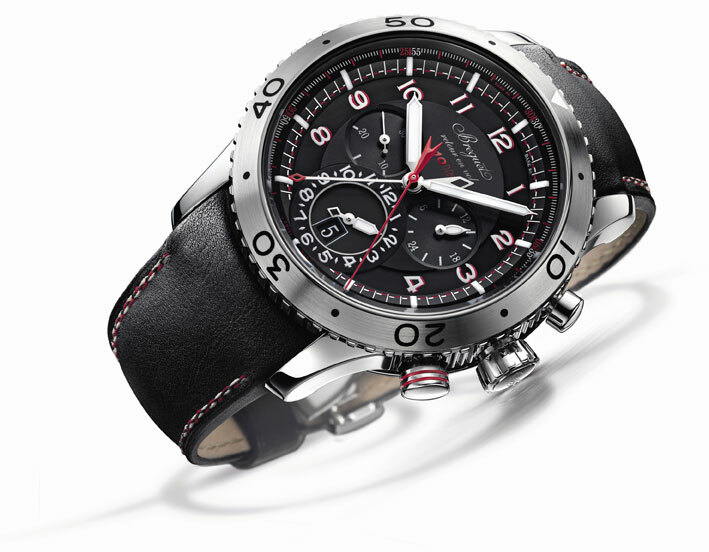 You are currently browsing the watchalive weblog archives for January 2011.